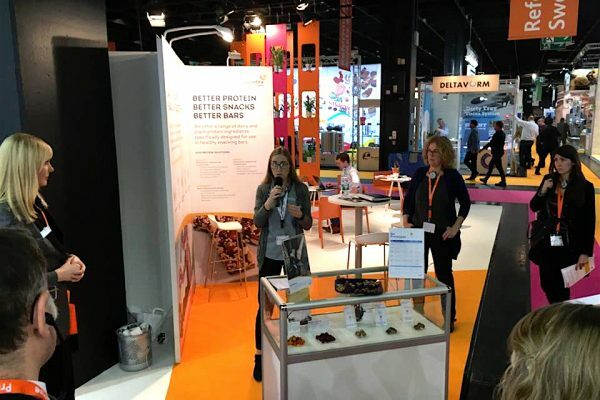 The ISM and ProSweets international confectionery trade shows in Cologne revealed a broad range of sweets, snacks and production equipment aimed at the global industry during the four-day sector showcases. According to official figures from Koelnmesse, visitor numbers across both fairs were reportedly up on previous levels, despite challenging economic backdrops across a number of global markets. For ISM, held between January 27-30, 38,000 attendees were registered, against 37,500 for the previous event, while ProSweets attracted over 21,000 people, which was an increase of over 5% on 2018’s results. Confectionery Production, which once again exhibited at ProSweets (pic below), also formed a partnership with five ISM trade pavilions including the German, Polish, Brazilian, Greek and Turkish stands, which all offered a diverse array of products representing their respective domestic markets across the complete sweets and snacks sector. In total, the key sweets event had 1,661 exhibitors from 76 countries, against 1,656 exhibitors from 73 nations in 2018, who presented a comprehensive range of exhibits and used the trade fair to present their new products. The floor space encompassed 120,000 m² and a total of 70% of visitor were from overseas. 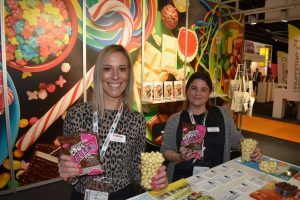 During the two four-day confectionery extravaganzas, a wealth of colourful displays, demonstrations and new product ranges were on show for trade buyers eager to pick up on the latest trends and confectionery styles. Among the major topics and ranges presented was a greater focus on healthier snacks in response to growing consumer demand for sugar-reduced confectionery, as well as vegan and gluten-free product offerings. Product reformulation was also high on the agenda, with companies such as Glanbia (main pic) responding with unveiling protein-enhanced bar ranges, and UK chocolate manufacturer Plamil releasing its latest dairy free, designed containing less than 4% sugars, which received its debut at the show, alongside a number of other new launches. 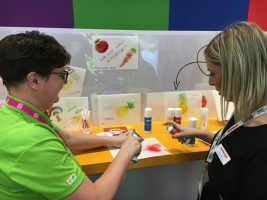 Among the most intriguing innovations on display came from colouring foods specialists GNT, which exhibited products including spray-based products, as well as a significant range of natural colours used within confectionery for gummies that have already found a strong foothold in the confectionery market. For its part, Barry Callebaut celebrated the development of ruby chocolate, with a total of at least 11 ruby-based confectionery ranges being showcase at the event including offerings from Libeert, Heilemann, Martinez, Cafe Tasse, Noi Sirius. 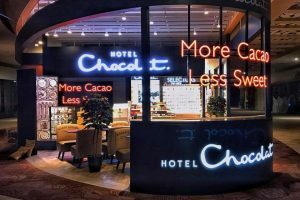 These brands demonstrated the flexibility of the ‘fourth type of chocolate’ which has now gained a release in over 40 countries since its initial launch in September 2017 in China. The company has forged major commercial partnerships with Nestle, as well as devising its own branded version for use by professional chefs. In addition, the Swiss-headquartered business also demonstrated its progress on cocoa supply sustainability, with an area of its stand devoted to showcasing pilot farming projects that the company has developed that encourage farmers in five of its major growing locations including Indonesia and Africa, to diversify their choice of crops to help ensure a stable income level. Another highlight of ISM was provided with the presentation of outstanding achievement award to Prof. Dr. Hermann Bühlbecker, the sole shareholder of the Lambertz Group. Speaking at an awards presentation evening, he said that he was very proud to have been recognised by his peers, and that during his career he had sought to bring “lifestyle, fashion and sweets” to the industry, which he said had been an honour alongside his other work including charitable activities. 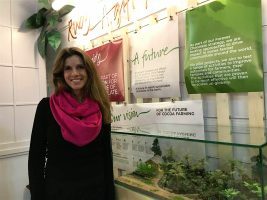 Meanwhile, the New Product Showcase saw three winners which included HPW with the Fruit Roll-up from Switzerland, Katjes Fassin with the Hemptastic Hemp Bar from Germany, in addition to Roelli Roelli Confectionery with its Swiss Cannabis Gum from Switzerland. In addition to the best innovations, the most innovative packaging of the event was also distinguished – ISM Packaging Award, which was claimed by Chocal Aluminiumverpackungen from Germany for Chocal. 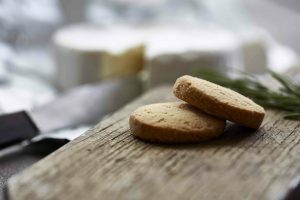 Speaking to Confectionery Production, the company said there had already been an excellent industry response at the show, which the accolade had further enhanced. “Once again in these difficult times, ISM confirmed its international standing as the industry’s most important business platform once again in 2019. Not only the stable, high key figures corroborate this, but also the high level of quality of the exhibitors and visitors,” summed up Gerald Böse, president and chief executive officer of Koelnmesse. Bastian Fassin, chairman of the International Sweets and Biscuits Fair Task Force (AISM) added: “We also set benchmarks regarding the quality of the offer in the worldwide comparison.” The professionals from the sweets and snacks sector cannot find so many existing and new products of high-quality leading brand manufacturers, small and medium-sized companies as well as start-ups anywhere else than in Cologne. “The top buyers and decision-makers of the industry selected used ISM as the platform for their orders or for establishing new business contacts. According to exhibitors, the quality of the trade guests at ISM was consistently high. This was confirmed by visitor questionnaires, as well as well as analysis of registration details. ISM recorded significant growths in the number of trade visitors from East European and the Baltic countries, South Europe and North America. Within Hall 5.2, visitors had the opportunity this year to examine the more recent sections “New Snacks”, “the Cologne Coffee Forum” and the Trend Court featuring in one location. This offered the chance for visitors to examine new innovations and themes. In terms of new equipment, ProSweets saw a number of new and revised lines being unveiled, including a new tempering line, the StellaNova, released by Aasted, a showcase for Gerhard Schubert’s lightline packaging series, and upgraded features for Theegarten-Pactec’s MCH range of equipment, which will will feature in our March edition. 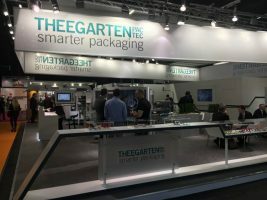 As its organisers noted, its major themes included customising technologies, environmentally-friendly sustainable packing solutions as well as new developments regarding digital networking in the production sector. One of the stand-out product launches came in the form of Aasted’s latest tempering system, the StellaNova, which the company has claimed will bring about significant savings in production time for chocolate manufacturers. 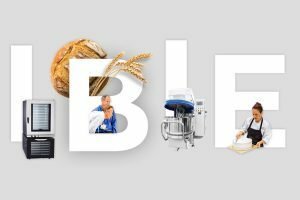 Anne Schumacher, Nutrition and Nutrition Technology vice president at Koelnmesse, believed that there had been an especially strong interest in equipment this year. 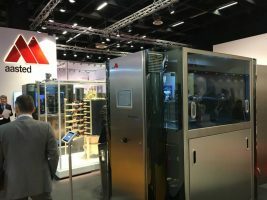 For this year’s event, there was a particularly bold approach from Bühler, which made a strategic decision not to exhibit equipment at the trade fair. Instead, the business placed its focus on personal meetings with its customers, discussing how its ongoing integration of Haas into its business is progressing. The company, as with a number of others including Bosch packaging, made use of virtual reality displays to offer visual representation of key product lines. Elsewhere around the trade fair, there was a focus on packaging machinery, raw materials and ingredients, as well as secondary sections on analytics and food safety. There was also an emphasis on smart and flexible machinery that is adaptable to differing recipes and fast changeover times. Another strong element of the show was its special events, which included reformulation and packing within its lecture series. The special event on ingredients presented solutions and current trends involving catering for the reduction of fat, sugar and salt as well as vegetarian or vegan diets. The guided tours of the DLG (German Agricultural Society) that offered intensive insights into the theme reformulation were also well-attended. 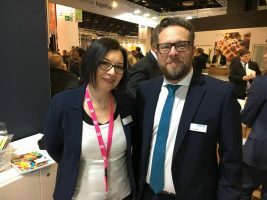 According to show results, 70% of the people interviewed already plan to visit the next ProSweets Cologne in 2020, with some concern being expressed over its timing close to the next edition of Interpack being held in May 2020.